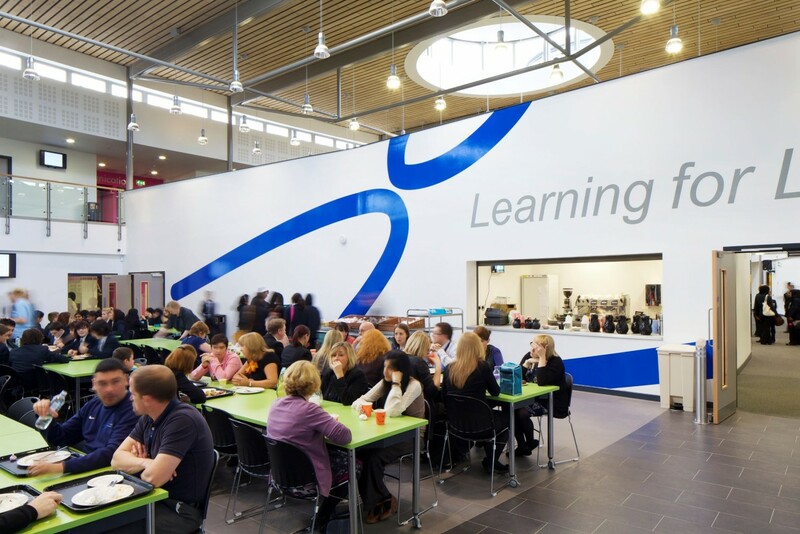 Oakfields Community College is a major £22.5 million project for a new 1,350 pupil secondary school in Acklam, Middlesbrough replacing the existing Hallgarth and Kings Manor Schools on the same site. The twin school specialisms of performance and sport are greatly enhanced. 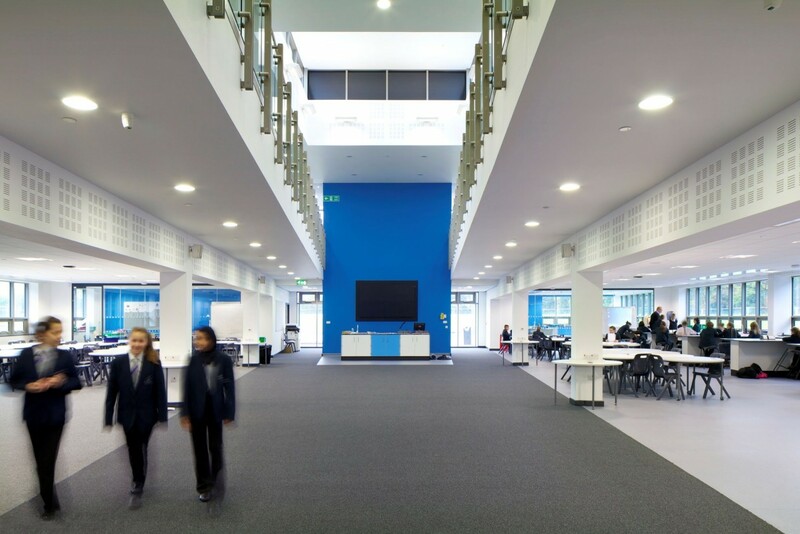 A new 270 seat theatre, changing rooms, dance studio, performance space and street theatre are provided as the centrepiece of an impressive double height ellipsoidal atrium that forms the heartspace of the school. 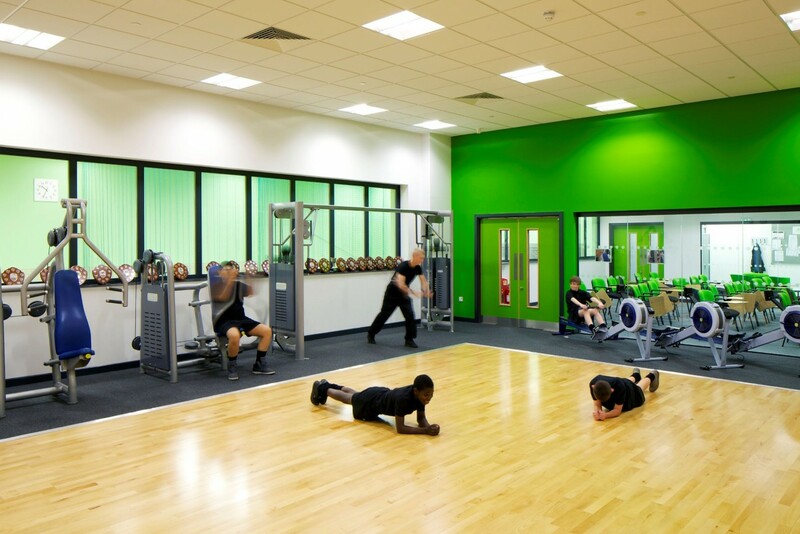 The project provided a new 35 x 19m four court Regional Competition standard sports hall, fitness room, spin studio, activity studio, class and team changing rooms together with outdoor natural turf pitches, floodlit multi-use games area and floodlit 3G synthetic turf pitch for hockey/football use to EHB/FIFA standards. 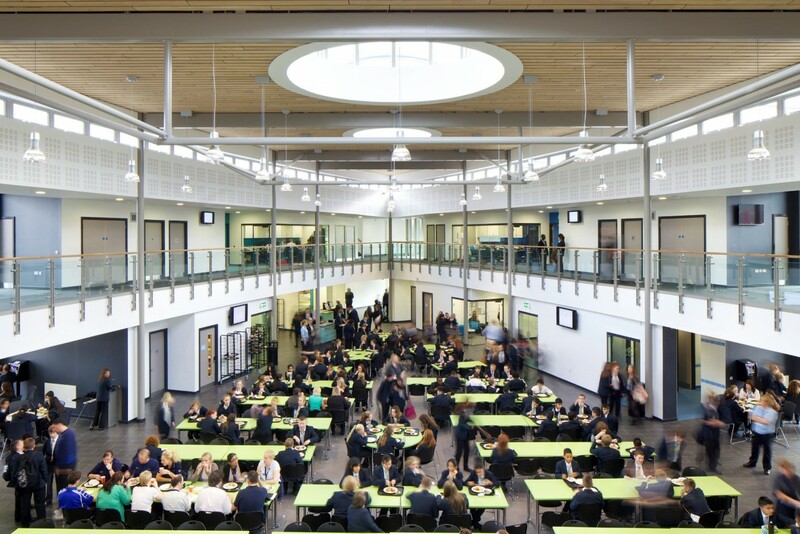 Flexible learning environments are grouped around the atrium, in blocks tailored according to faculty use and each with pastoral and leadership areas embedded to support a personalised learning pedagogy. The library and media centre is wrapped by two tapered wing roofs that symbolically link the school to its community, drawing in visitors, sports people and community groups extending the life of the school in the evenings, at weekends and over summer. It is a truly flexible, interactive and inspirational space for all.